Built on a delightful piece of land, where the valley meets the River Tweed, the 18-hole Championship Course at the Macdonald Cardrona Hotel Golf & Country Club is as fantastic as it is formidable. 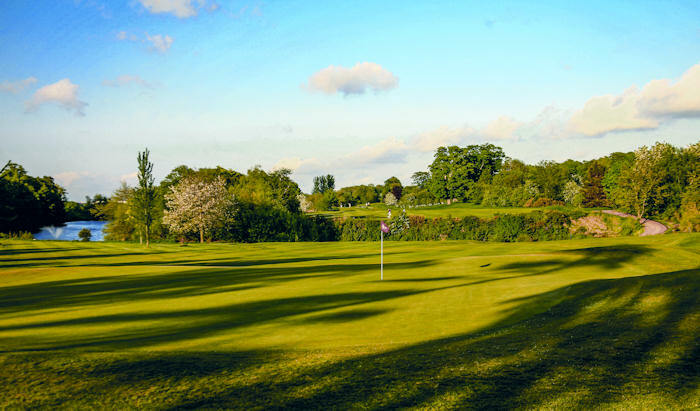 It is just under twenty-years-old, having opened to the public in 2001, and it is characterised by several large bunkers and gently undulating, tricky greens. It was designed by former Ryder Cup player, and internationally renowned course architect, Dave Thomas. Accuracy over length is, without question, the principle requirement for scoring well on it. One of the finest resort courses that Scotland has to offer, Cardrona is a relaxing haven with a restaurant, two bars and 99 comfortable and spacious bedrooms. Cardrona is a perfect place to go. 7th – While the sixth is a fantastic driving hole, the seventh is probably the course’s highlight. Requiring an accurate drive with trees on the right and bunkers to the left, the approach shot is even more of a challenge on this 402-yard par-4 to find an elevated, well-protected green. To book and play this course you must also book and pay for one of the two golf packages below at time of booking. Buggy hire: £30 per buggy (Seats 2) (Normally £35 per buggy) Must be pre booked and pre paid at time of booking. Golfing Essentials: Sleeve of 3 Srixon golf balls, Logo ball marker, Course guide, soft drink and chocolate bar. £15 per golfer. Must be pre paid at time of booking.